NEW YORK (Reuters) – Oil prices fell on Friday, extending losses as JP Morgan cut its crude price forecast, after already weakening on concerns about surging U.S. output weighed and falling demand in China. Brent crude futures fell $1.04 to $76.30 a barrel by 11:10 a.m. EDT. U.S. West Texas Intermediate (WTI) crude futures recovered some earlier losses to trade 61 cents lower at $65.33. 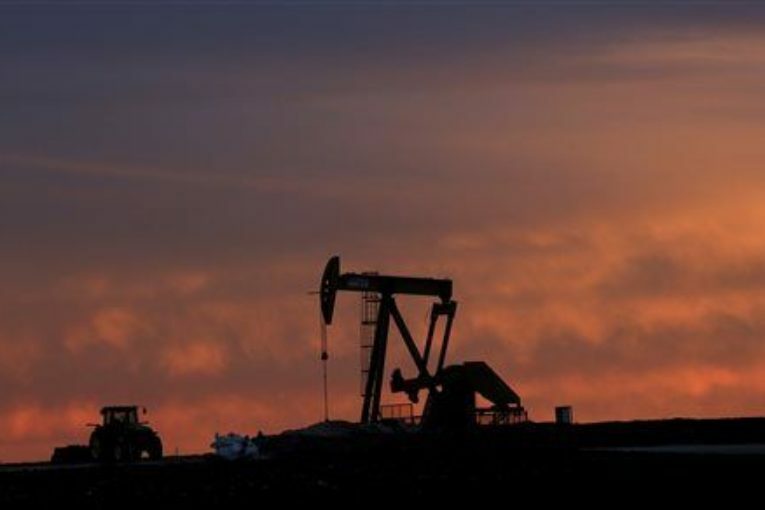 For the week, U.S. crude was set to fall 0.2 percent, while Brent was set to fall 0.6 percent. “It’s all about the JP Morgan report,” said Bob Yawger, director of energy futures at Mizuho in New York. JP Morgan cut its 2018 crude forecast for WTI by $3 to $62.20 a barrel, traders said. The bank did not immediately respond to a request for the report. Crude prices were down slightly earlier in the session after data suggested Chinese demand was waning and concerns lingered about growing U.S. output. China’s May crude oil imports eased away from a record high hit the previous month, customs data showed, with state-run refineries entering planned maintenance. May shipments were 39.05 million tonnes, or 9.2 million barrels per day (bpd). That compared with 9.6 million bpd in April. Further weighing on prices has been rising U.S. output, which hit another record last week at 10.8 million bpd. At 1 p.m. GE’s Baker Hughes division will release its weekly rig count report, which indicates whether oil drilling is expected to grow further in coming weeks. The surge in U.S. production has pulled down WTI into a discount versus Brent of more than $11 a barrel, its steepest since 2015. Despite Friday’s decline, Brent remains more than 15 percent above its level at the start of the year. U.S. investment bank Jefferies said the crude market is tight and spare capacity could dwindle to 2 percent of demand in the second half of 2018, its lowest level since at least 1984. Markets have been tightened by supply trouble in Venezuela, where state-owned oil company PDVSA is struggling to clear a backlog of about 24 million barrels of crude waiting to be shipped to customers. More generally, Brent has been pushed up by the voluntary production cuts put in place last year, led by the Organization of the Petroleum Exporting Countries (OPEC) and Russia. OPEC and Russia meet on June 22/23 to discuss production policy. On Friday, OPEC’s third-largest producer Iran criticized a U.S. request that Saudi Arabia pump more oil to cover a drop in Iranian exports and predicted that OPEC would not heed the appeal. Headlines on OPEC members’ plans for the meeting later this month will lead to volatile market swings, said Tariq Zahir, managing member of Tyche Capital Advisors in New York. “I think it is going to be very choppy,” he said.